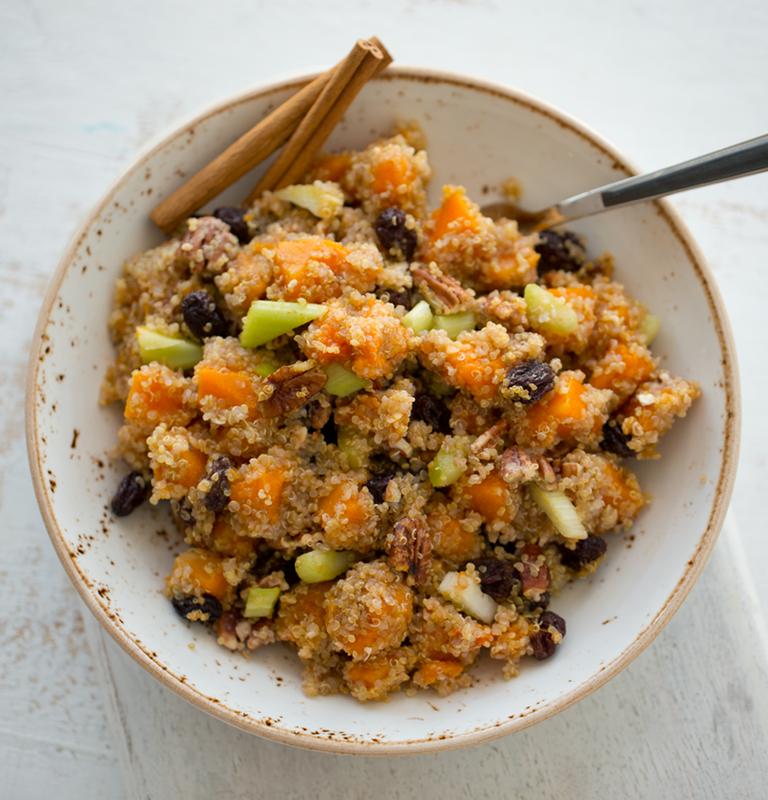 This cinnamon-hinted Butternut Squash Quinoa Salad has sweet cubes of roasted butternut squash, crunchy bits of celery, citrus, plump sweet organic raisins (cranberries work too!) and crunchy pan-toasted pecans. The very light dressing is a mixture of tahini, maple and cinnamon. Plus, check out what I've done in London so far!.. Walked alllllll over the city. Bundled up like a vegan burrrrrito. Thank you Vaute coat for keeping me warm! Dinner at Mildred's, Wild Food Cafe and more. I am SO impressed with London's vegan options! I could seriously live here. So many more spots than the last time i visited over ten years ago. Every place has been fantastic! Broadway is one of the main things I miss about living in NYC, so I was super excited about seeing a show on the WestEnd, London's version of Broadway. We saw a Saturday matinee show of Les Miserables starring the wonderful Peter Lockyer as Jean Valjean. This was my third time seeing Les Mis and it was amazing, no surprise. But it felt extra special here in London. They used the spinning stage technique, something I had not seen yet with Les Mis. The show is a MUST see for any West End / Broadway fans visiting London. We also took a boat ride to the O2 Arena and went to the ATP Tennis Finals to watch the Federer vs. Djokovic match, which was splendid. So fun. But most of all in London, I love simply wandering the streets, listening to Londoners chat and stroll and mingle. This city is filled with friendly, charming energy -- even despite the frigid temperatures! But luckily, no rain! Thanksgiving Week! 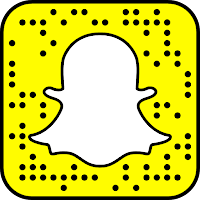 Need recipes? Check out these posts!.. * 25 reasons to host a vegan Thanksgiving, aka Thanksliving. * Vegan Thanksgiving Menu 2015 + tons of recipes. 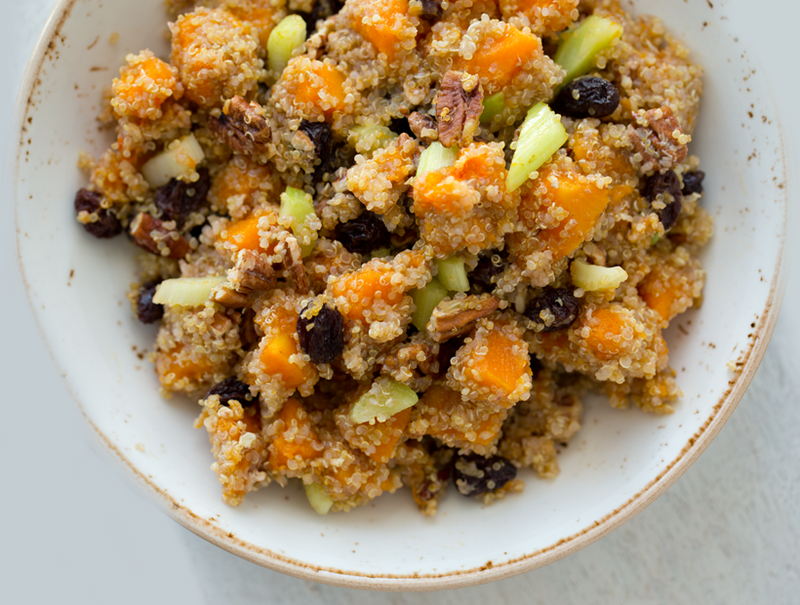 This lively quinoa salad makes a delicious side dish. Add tempeh, tofu or beans or lentils to make this a fabulous fall entree. Prepare your quinoa - fluffy and light. Directions here. Add quinoa to a large mixing bowl. In a skillet, over high heat, toast the pecans for 2-3 minutes. Add them to the quinoa bowl. For the butternut squash: roast, steam or boil. Roasting brings out the most flavor. Boiling or steaming is the fastest. To roast, toss the squash with 1-2 tsp oil (I like virgin coconut or EVOO) and lay flat on a baking sheet. Roast at 415 degrees until tender. For boiling, simply boil in a pot of water until tender, then drain water. 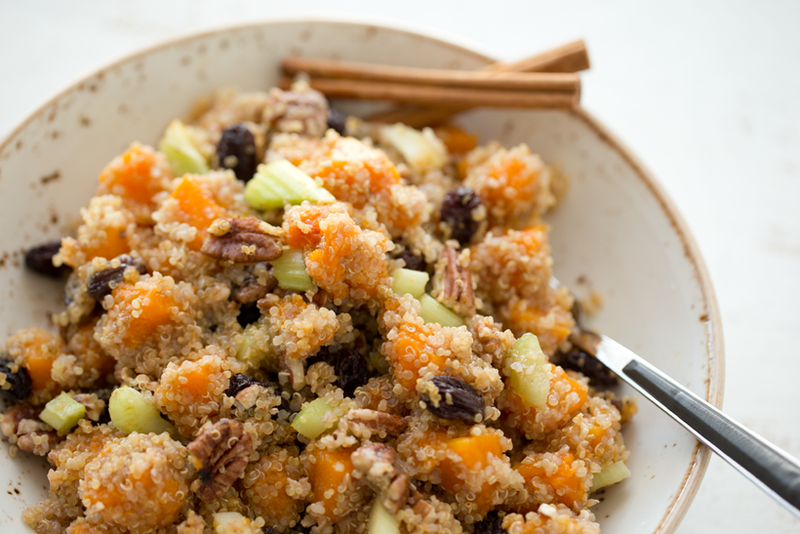 Add to the bowl: celery, raisins, citrus, butternut squash. Toss everything together. Then add the tahini, maple and cinnamon and fold until well distributed. Serve warm right away, or place in the fridge, covered, and serve when desired. 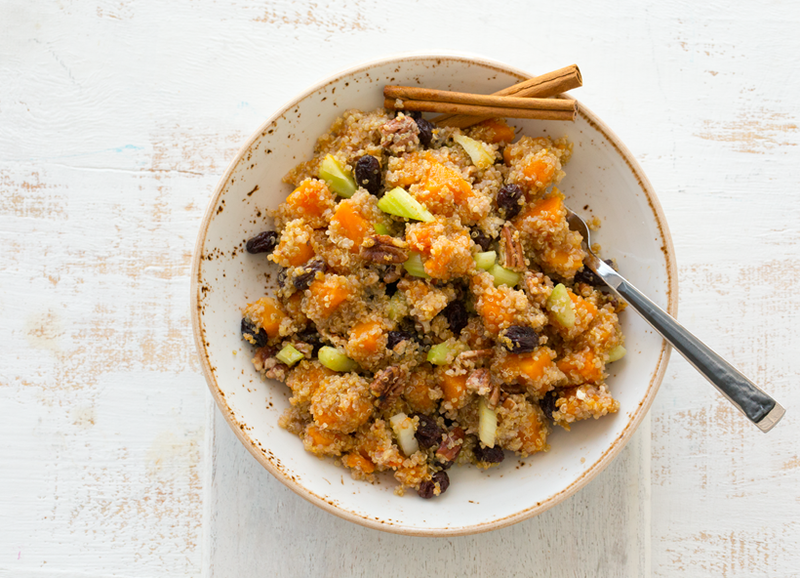 This quinoa salad is delicious served warm or chilled. Optional ingredients to add: beans, tempeh bacon or cubed tempeh, skillet tofu, lentils. 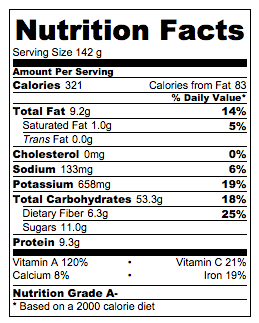 Also try: thinly sliced green apple, Medjool dates or pears. 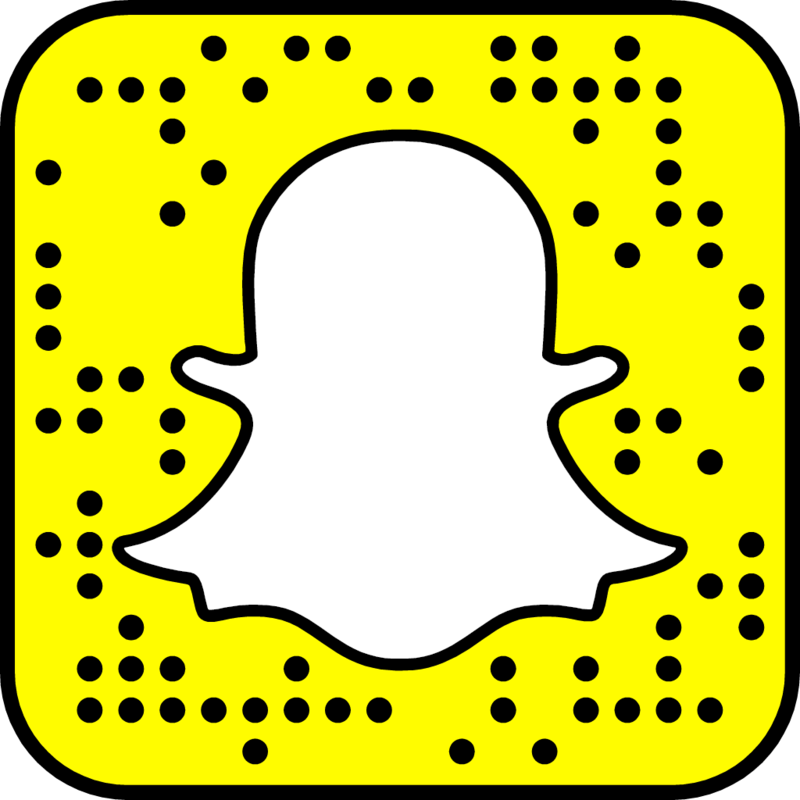 Some of my adventures are on my Twitter, Instagram and Snapchat social accounts - I would love it if you followed me! I love interacting with you guys on social. 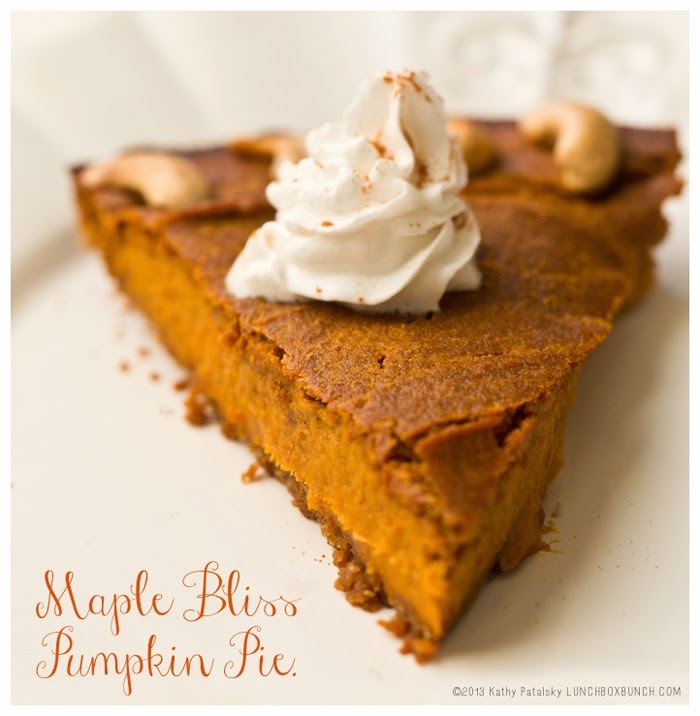 And don't miss my Maple Pumpkin Pie for holiday dessert!